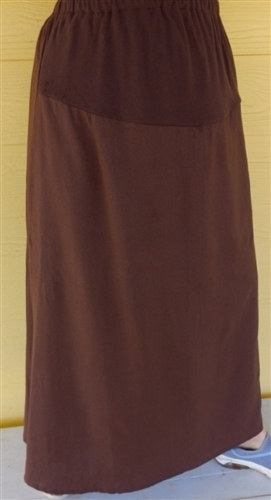 Size 3X 30/32 Maternity Skirt in Medium Blue 8 oz. denim. Approximately 42 in. long on the side seam. No slits, yet room to walk and move around.